OVERVIEW – New Meadows is a rural community that lies just south of the 45th Parallel North. It is in the Meadows Valley and sits on the Little Salmon River. The river meanders slowly through the pastures and wetlands and offers residents the opportunity to spot bald eagles, sandhill cranes and the occasional moose. This cattle ranch town sits at the junction of the primary north/ south highway that runs through the state. New Meadows hosts the last surviving Pacific and Idaho Northern (PIN) Railroad Depot. The railroad depot was built in 1910 and served as the northern end of the PIN Railroad. It is listed on the National Register of Historic places. New Meadows is the quintessential Idaho rural town with spectacular views of Brundage Mountain and the best sunsets in Adams County. A quiet life on the ranch is what draws people to News Meadows. The Meadows Valley sits in the heart of Idaho’s West Central Mountains and is surrounded by the dense woods of the Payette National Forest. Spring comes earlier in the Meadows Valley. 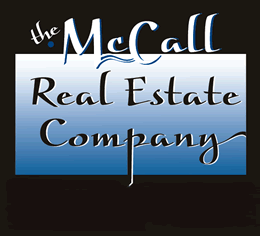 For those who love the Mountains but don’t like the long winters that are typical up the road in McCall, New Meadows might be the place for you. DINING – Being a very small town, New Meadows doesn’t have a lot of dining options. A recently opened restaurant, The Intersection, offers delicious BBQ. They have homemade food which comes in large portions, and a friendly staff. For a great cup of Joe in the morning, Roadhouse Java is the place to go. Every town needs a bar like the Kahili Club. The Kahili is a New Meadows institution. A friendly staff, theme dinner nights and karaoke are just a few reasons to love the Kahili. RECREATION – New Meadows is for the sportsman. Hunting and Fishing opportunities abound. Lost Valley Reservoir offers trophy trout fishing. You can hunt deer, elk, or morel mushrooms out at Little Mud Creek. The Weiser River Trail built on the old Idaho Pacific Railroad tracks offers miles of biking, running, or walking. Golf at Meadow Creek Golf course or in the winter hit the Nordic trails at Meadow Creek. If it’s the thrill of speed you’re looking for Brundage Mountain resort is just nine miles north and just south of town are five designated areas for snowmobiling. After all those activities you can go soak at Zims Hot Springs located just four miles out of town. SCHOOLS – There is only one school in the Meadows Valley School District. A one stop shop for ages K-12. The staff and educators at the Meadows Valley K-12 truly care about the kids and their families. With such a small school the kids have the opportunity to play every sport and participate in every activity. Meadows Valley K-12 – Has received a Bronze medal rating by US News and World Report in their annual Best High Schools in America. And boasts the lowest student to teacher ratio in the McCall area, 11:1.